or just wear it for lots of attention. I’m talking about Nars Cosmetics Audacious Mascara. 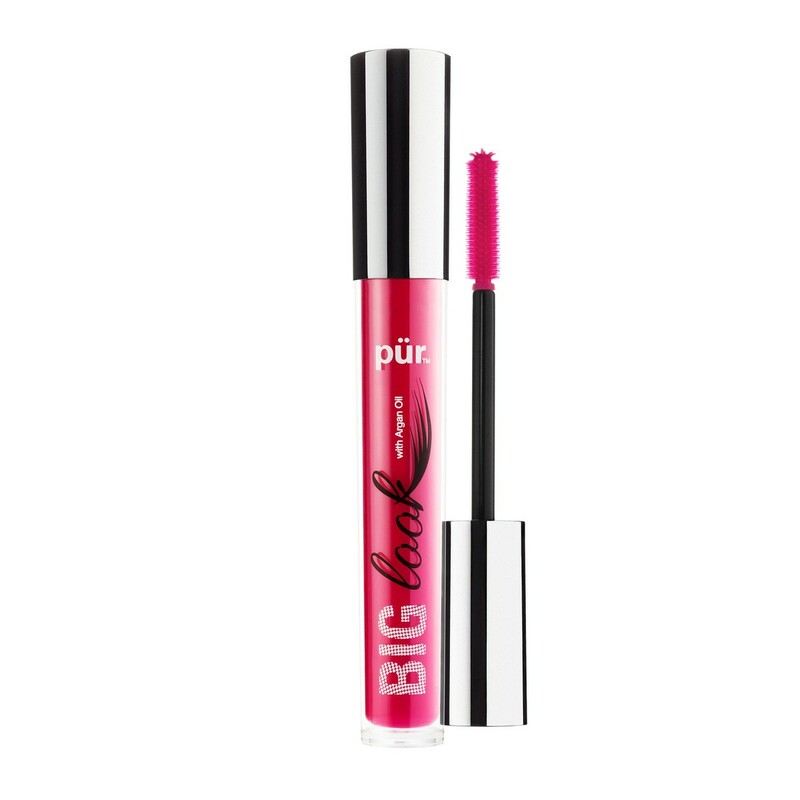 This mascara separates and lengthens to new heights. It only takes one layer for dramatic results. It has over 200 molded bristles and lengthening hooks. Your lashes are left bold yet lightweight. So get with Nars, and be Audacious…. Here’s what grabbing my attention this month…. The Invisibobble is my new favorite hair elastic, because it’s so much more than an elastic. It doesn’t kink your hair, or cause split ends. 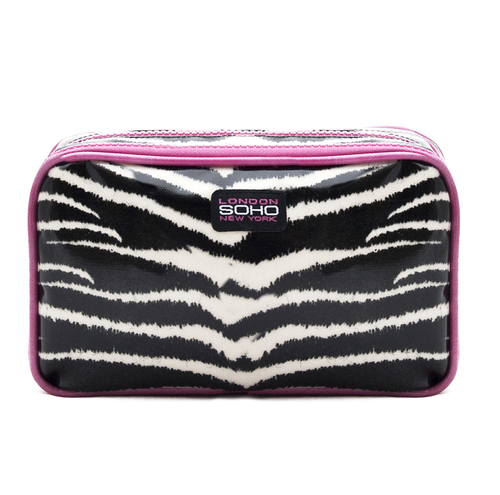 It replaces the need for bobbypins, by securing while holding your hair. My hair is soft and light because I’m using Shea Moisture’s Fruit Fusion Coconut Water Weightless Creme Rinse. It’s extreamly lightweight so your hair can reach volume goals. It’s organic and filled with good stuff like dragon fruit, lychee berry, and green apple extracts. The volume doesn’t stop at my hair, my lashes are feeling it to. My new go-to mascara is Loreal’s Feline Noir. 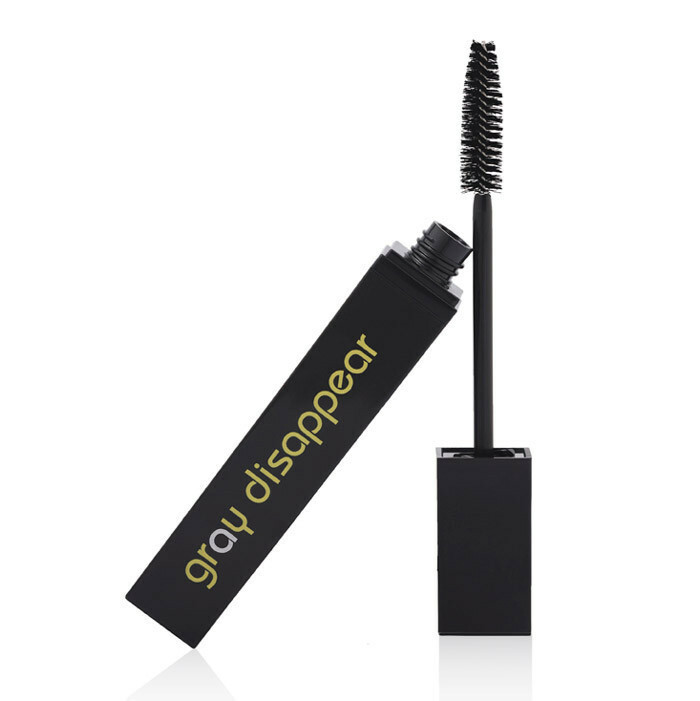 It gives instant volume, with full lash density and an intense black color. My makeup drawer has another addition. Skinfood’s spoon foundation brush. It is made for foundation but I use it for blending. It’s best for when I go to heavy on the bronzer or blush to really spread it out. My nails are loving Zoya’s Naked Manicure Tip Perfector. It’s a soft, sheer white. I put it over a fair pale pink for the perfect combo. I have a few gray hairs. No one knows, because I’m covering them up with Generation Klean’s Gray Disappear. It’s a mascara like wand, that quickly covers grays. 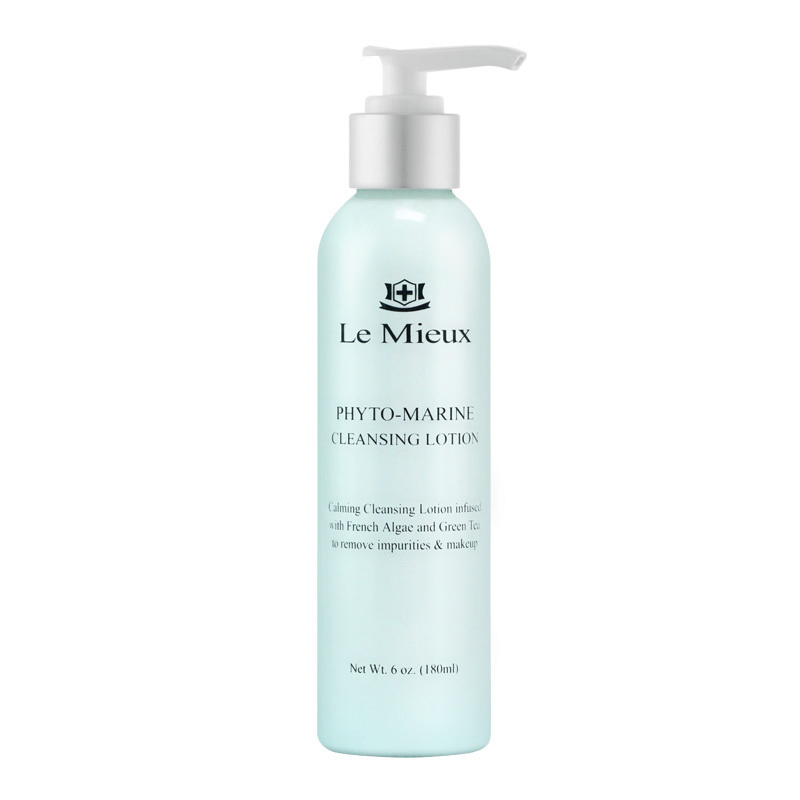 It is free of parabens, sulfates, and Glycols, while being rich in antioxidants and vitamin E. It washes out easy with Shampoo. I love it when I have my hair pulled back in my Bend-a-Bun from Mia. The bend a bun is a no damage way to do an updo. So get with these quick fixes, and take time with more important things…..
with BeautyADDICTS ShowOFF mascara. It has a curled wand to create intense lift and curl. You only need one coat for major volume and length. 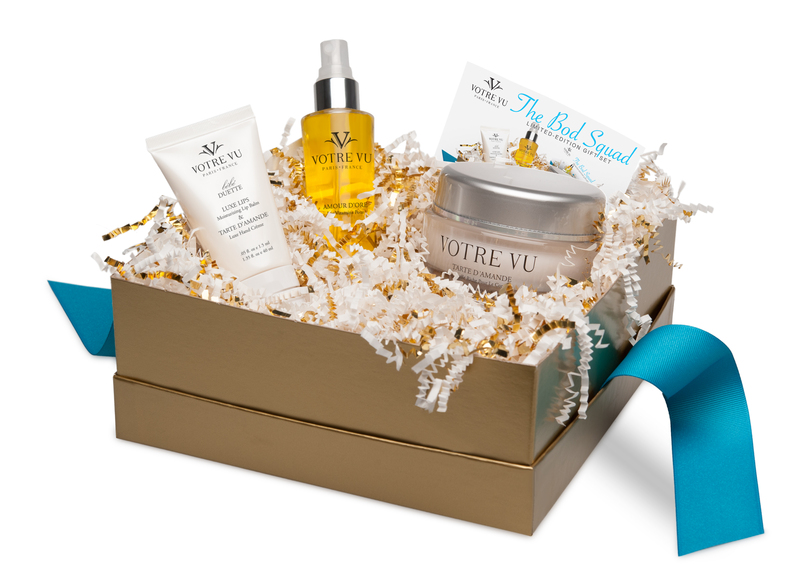 The formula is made with Argan oil, to both condition, and protect. The brush reaches every lash and does not clump. 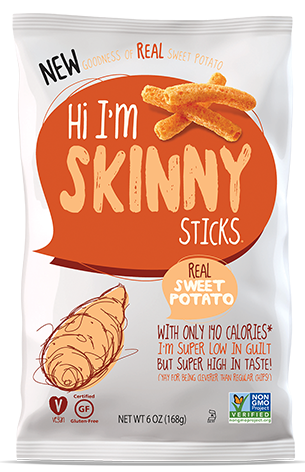 So swipe some on , and get addicted too…. 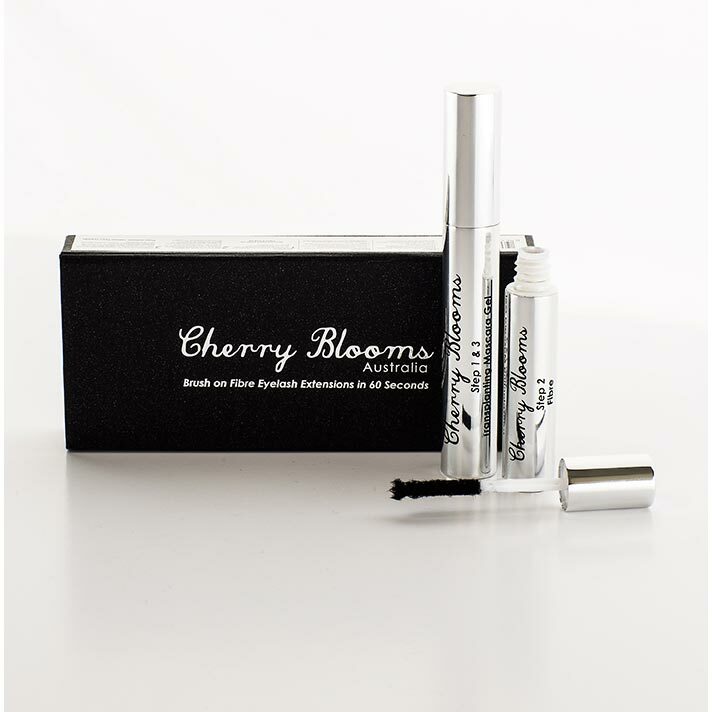 Cherry Blooms Mascara Brush On Fiber Eyelash Extensions are a great addition to your makeup arsenal. I’ve tried lots of “brush on fiber” types of mascaras and this is the best, and easiest, to use so far. 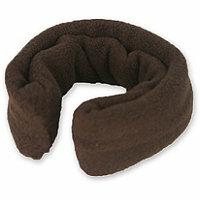 The fibers are lightweight, comfortable, and there is very little clumping. It’s easy and quick to apply. First swipe on the transplanting mascara gel (20 quick strokes) then add the fibers (15-20 strokes) last follow up with the mascara gel (20 strokes). 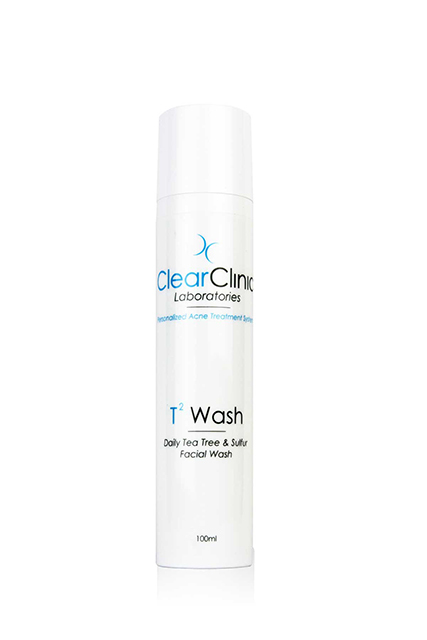 You are left with longer , thicker, lashes, that easily wash off. The formula contains a natural high grade potent beeswax and black fibers,- that do not fall on your face unlike other brands. 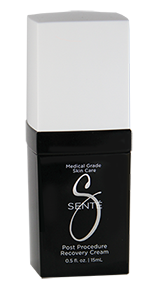 The gel stimulates lash growth, antibacterial properties, and moisturizing properties acting like a leave-in conditioner for your lashes. So go big with Cherry Blossoms, and everything else…. a Color Kiss from eSalon. 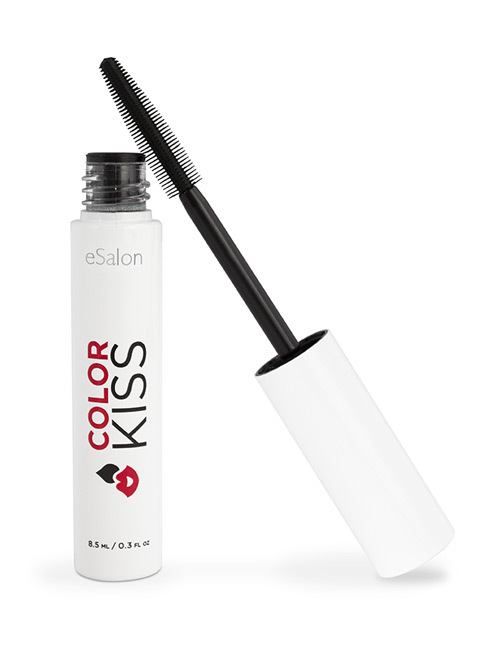 Color Kiss is like a mascara for covering your roots. It only takes a few seconds to touch up your hair, and look flawless. It is temporary, washes out in the shower. Choose from 10 shades and tones to find the perfect one. So Kiss your grays goodbye, and a hottie hello….